Create a small grid approximately 20X20 yards. Instruct players to pair up each player with a soccer ball. 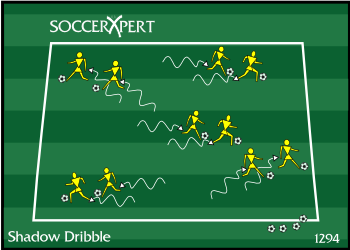 The lead dribbler dribbles around inside the grid while the shadow dribbler attempts to mimic the lead dribbler's every move by keeping a good close distance. Change leaders after a minute.